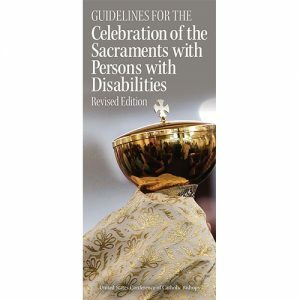 The USCCB’s Divine Worship Secretariat has announced the publication of a revised edition of the Guidelines for the Celebration of the Sacraments with Persons with Disabilities, which was first published by the USCCB in 1995. The new edition of the Guidelines was approved by the US Bishops at their June 2017 meeting, and it incorporates expanded information and guidance in light of recent medical and technological advancements. New and updated norms related to the distribution of Holy Communion to persons with feeding tubes, gluten intolerances, and age-related dementias are included in the revised Guidelines. All involved in pastoral ministry are encouraged to read this important document which may be downloaded directly from the USCCB’s website.